Snip through shells of shrimp along back using kitchen shears, exposing vein and leaving tail and last segment of shell intact. 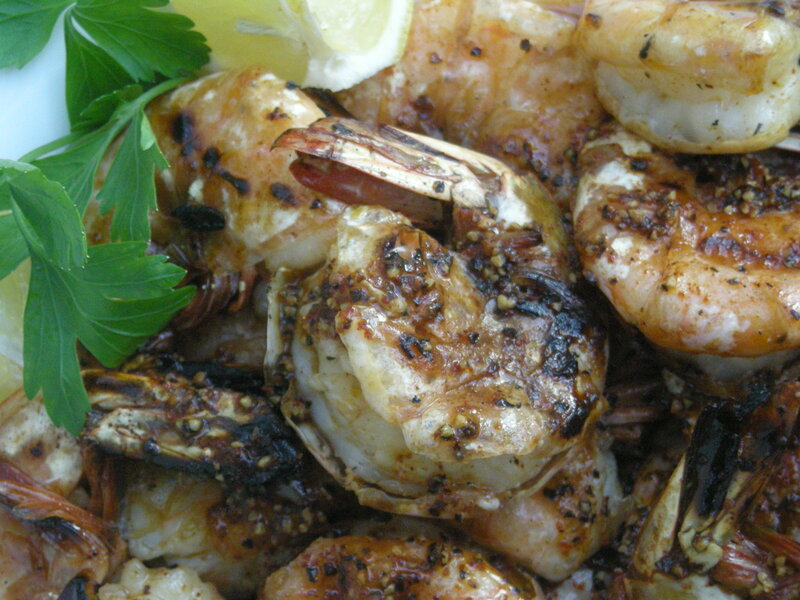 Devein shrimp leaving shells intact and toss shrimp with the oil, garlic and ½ teaspoon salt. Marinate at cool room temperature for 15 minutes. Heat butter, chili powder, pepper, Worcestershire sauce and remaining ¼ teaspoon salt in a small, heavy saucepan over moderately low heat, stirring, until butter is melted, then remove from heat and stir in the lemon juice. 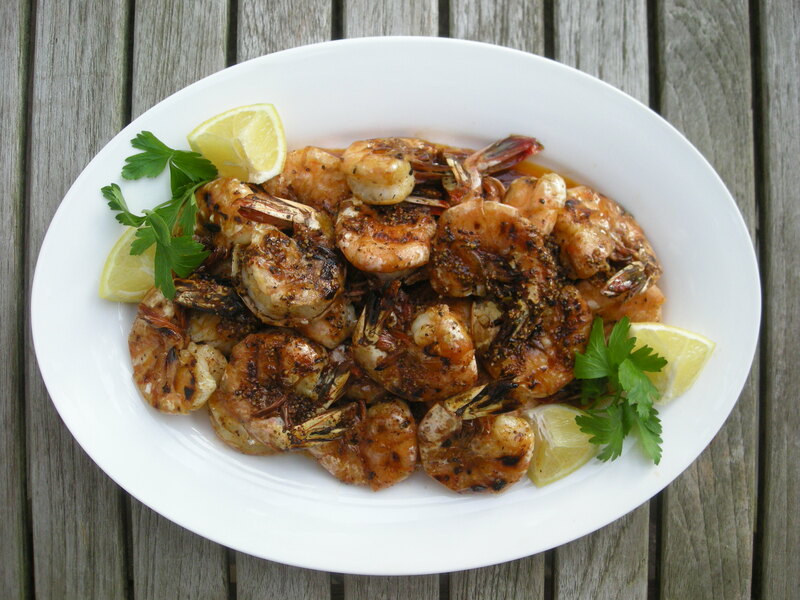 Grill shrimp in a hot, well-seasoned ridged grill pan over moderate heat until shells are pink and slightly charred and shrimp are just cooked through, 3 to 4 minutes on each side. Place shrimp into a large bowl, pour butter mixture over them and toss to combine well. Serve with baguettes or rice and lemon wedges. Posted in Shrimp, Southern American, UncategorizedBookmark the permalink.